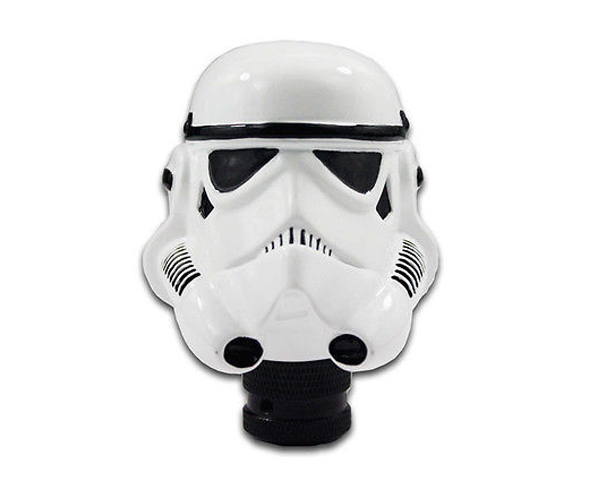 Dress up the interior of your car with this Star Wars inspired Storm Trooper shift knob! It is made out of a cold cast resin and attaches to any shifter that has an original knob that can simply twist off. (It shouldn't matter if the transmission is automatic or manual). The installation is simple - just twist off your original knob, determine which rubber sleeve (if any) is needed to secure the Storm Trooper knob in place, add the included allen screws and that's it! If you are not 100% sure that this knob will work on your car, please just contact us! We may be able to help just by looking at pictures.